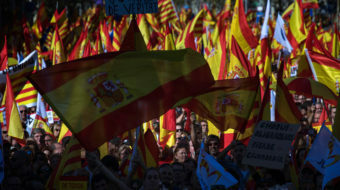 Spanish nationalism confronts Catalan nationalism with neither inclined to blink first. 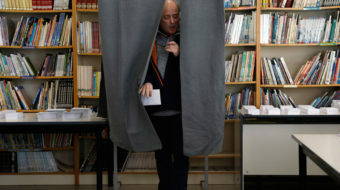 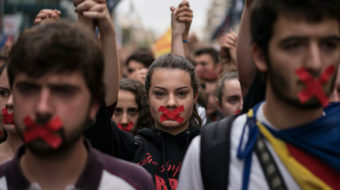 The Communist Party of Spain, while deploring the police crackdown, has maintained its opposition to independence in favor of a federal republic. 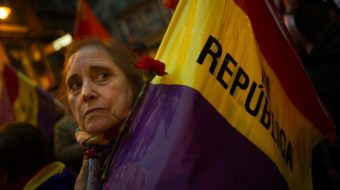 Spanish communists call for a federal Spain based on social rights for all, with the right of national self-determination guaranteed. 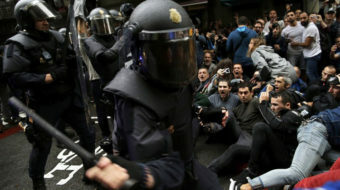 The battle over Catalonia’s relationship to the central government has been going on for centuries, and there have been plenty of violent clashes before.